Every year, we mobilize medical professionals specifically to create clinics around the world for the underprivileged and marginalized. These trips are different than our other service opportunities, as they are truly leveraging your professional skills to bring immense relief and aid to those in need. On Sunday, January 22nd at 6:30 p.m. we are having a medical missions reception to answer questions, break through stereotypes and barriers, and hear stories of life change from other medical professionals who have hearts for serving internationally. Attend this event to learn more and share your personal experiences. Please RSVP here before Friday, January 13th. Invite other medical professionals you know to the reception. We hope to reach more doctors, dentists, physicians’ assistants, and nurse practitioners. Thank you so much for helping us mobilize medical care and ministry to those in need. We look forward to seeing you on January 22nd! We have been asked to send a team of medical professionals to work alongside The 410 Bridge to provide medical treatment and relief in the midst of the devastation of Hurricane Matthew. The team of doctors, physician assistants, nurses and other professionals will head out in less than 2 weeks! Please pray with us for the team and consider donating to get them there. You can donate here! This month we travel to Cambodia to learn more about one of our missionaries, the Chung family, and their impact on the people of Cambodia. We started our church ministry two years ago with a very small startup of local Khmer university students who met together every Sunday to worship God. This group has grown to have 40 adults and 60 kids who come to church to hear about Jesus. I recently went through a series that Pastor Andy did in America but contextualized it for the Khmer culture and their faith. In addition to this, we went through North Point’s “Starting Point” resource with twelve students; all of them were baptized at the completion of the material. On base, we have 15 students living together in community. The vision and mission statement for the base is to establish a culture in Cambodia that represents Jesus. The primary focus of our “Jesus Community” is to love God first then to love others before we love ourselves. We meet every night to study the Bible and to have fellowship with each other. We have just finished the New Testament and we now studying Genesis. We have several church plant locations that we visit once a month to share the gospel and to have a children ministry and medical ministry service. We believe it is important to have the Khmer people doing mission and serving their own people instead of Americans or Koreans, especially as we intentionally involve ourselves in church plants and mission work in Kampong Charm, Prey Veng and Kampot Province. 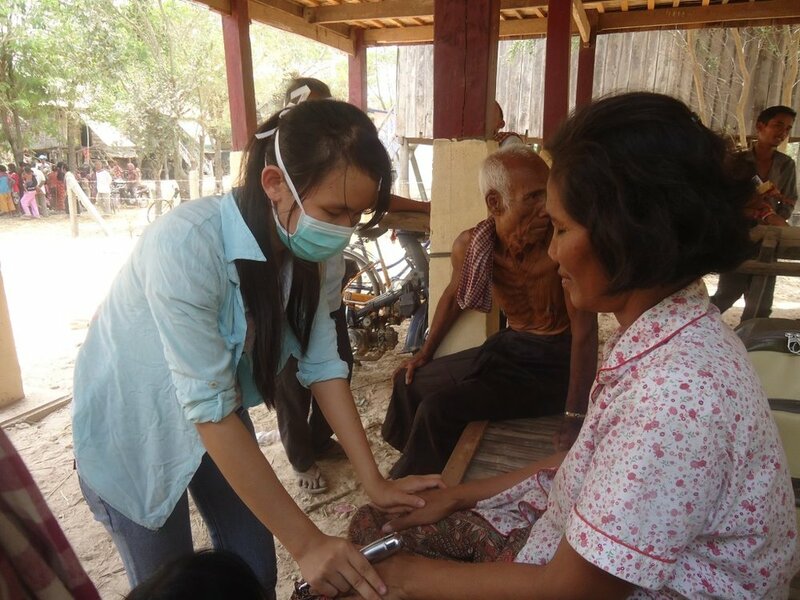 We do medical service for our neighbor or villages and after school for impoverished families. We also help a primary school in a poor area of a village with a fresh drinking water project. We are serving the Center of Peace Orphanage and do our best to meet the needs of the children. We have a strong relationship with the children and the staff. We provided supplies for their Christmas celebration and also let a mission team serve the kids in fellowship and teaching the Word. We also worked together to serve the New Life Orphanages with the globalX teams that come to Cambodia. We are working with local pastors and ministry leaders. We support their ministry and work together for God’s kingdom. We have been serving Cambodia for 3 years since January 2011. It is not my will that I am in Cambodia but it is truly the Lord’s. I decided to hear and obey Jesus’ Great Commission when my sons reminded me that this calling was not only for the young, but for every disciple of Jesus. This sparked a season of prayer to find out what nation to serve; God impressed to me that Cambodia is where I should go. Although I never met any Cambodian or visited Cambodia, His calling was so strong to us that we knew we had to obey Him. After watching videos about the people in Cambodia, my wife and I felt that each person was individually calling us to serve their nation. I was a pastor of a Korean American church in California for 10 years. Prior to that, I was a part of a gospel music mission team and preached the gospel to many people in Korea. After I spent my time in California, I owned a small business in Atlanta for 8 years and became a member of North Point at that time as well. I grew up in South Korea in a time where the culture and atmosphere were similar to how Cambodia is right now. A lot of people in Cambodia live without experiencing or knowing that there is somebody who loves them and cares for them. I also experienced this same kind of neglect in the past and so this has allowed me to present to Gospel to Cambodians not as western culture, but something that truly exceeds and surpasses it. Our mission is to lead people of Cambodia into a growing relationship with Jesus Christ. We fulfill this intention with discipleship and intentional fellowship. With the people we disciple and live in community with, we went to support and nurture an environment that looks like Jesus and loves Jesus. By doing this, they will grow as a unified church and also as Cambodian leader faithful to Christ. There are so many great stories about seeing God’s miraculous power in Cambodia. When we first arrived to Cambodia, we decided to help an orphanage with no food. We withdrew $500 to spend on food for the orphanage but Grace had her purse robbed while riding in a tuk tuk and was hurt as a result of falling off of it. A Buckhead Church small group heard of this news and was able to raise $500 to send to Cambodia almost instantaneously. It was in this time that Grace began to develop health issues. Grace flew to Korea to have a medical checkup and was diagnosed with thyroid cancer and chose to not have surgery but to seek alternative medicine and prayer. She spent her time flying back and forth from Korea and Cambodia; in the cooler season, she was in Cambodia and spent the hotter months in Korea to avoid the stress and heat of living in hot weather. At one point, the heat was so difficult that Grace had to return to Korea and receive medical attention. At a checkup, the doctors said that they could not find any cancer cells in her body. Although she is still recovering in Korea, God is using this not only as a testament of His power and mercy, but his love for His creation and his intention of true love in marriage. This month we hear about the work of Jessi in South Asia. I have the honor of working in an amazing country at a unique time in history. It is a land filled with contrasts: extreme poverty with a backdrop of the most breathtaking mountains in the world; a hotspot for human trafficking but also the home of one of the fastest growing churches in the world; a nation of people who love their home but almost every family has a member (or several!) overseas as a migrant worker. There are 123 languages spoken here. While nearly everyone can understand and speak the national language, only 40% of the population (~30 million) speak it as their first language. With church growth mainly happening among minority groups, there is a huge need for the Bible and Christian growth materials in minority languages. That’s where we get to serve. I get to work alongside national believers and a variety of Christian and secular local organizations to help bring clarity to the language needs of these minority communities. How do I do this specifically? Through sociolinguistic research! Most people glaze over the instant these words hit their ears—what? What does that mean? It’s way more fun and accessible than it sounds. It boils down to looking at the way people use language(s). You probably interact with people who have different accents than you every day, right? And if you thought about it, you might find you hold certain attitudes about people who speak different dialects. You may even have difficulty understanding them. You encounter sociolinguistic issues every day. It’s just my job to think about them in Nepal and use a better understanding of the way people use their language to help bring God’s Word to them—in their own language. Collecting a word list in a large minority language. From 14 years old, I was on the hunt for where in the world God would send me and what in the world he would do with me. By the time I reached my twenties, I had been to more than 20 countries, thought about a million options in missions, and began studying Arabic and Mandarin thinking God would certainly send me to one of the “hardest” places. After graduating from Georgia State, and after over a decade of asking for his direction and only hearing that cricket chorus that accompanies the cavernous silence of God, I was preparing to give up my dream of being a missionary. Maybe I wasn’t called after all. There’s a huge need. I’m capable of helping somewhere, right? It didn’t seem God felt that way. I had already applied to law schools and was readying my heart to switch gears when I heard about a week-long program (TOTAL It Up) Wycliffe hosts in order to introduce all the facets of language work to interested people. I told God this was my final attempt to follow my dream and headed to Orlando to discover that this is where I fit into his global work. Language. I love words. I love linguistics! The gospel writer John opens his letter by calling Jesus the Word. We see in Jesus the very communication, the transfer of information, of Almighty God to our little receivers—our eyes and ears. And we can see him and know him through his Word. Think about how many versions of that Word, the communication of God, we have in English. There are millions of people in the world who have not encountered the Word of God, the gospel, in their own language. And I could play a part in making that encounter possible. Amazing. Humbling. Exciting. I said “I’ll go!” and God sent me. I grew up in a Christian home in the suburbs of Atlanta. I remember being a very little girl and after hearing missionary stories at Vacation Bible School thinking, “If people don’t know about Jesus, well, what would I do with my life but tell them?” As I grew up, I remember my parents telling me that I wasn’t their child, I was God’s child, and he gave me to them to shepherd, love, train, and support, and that’s what they’d do as I followed his leading in my life. I can’t imagine anything that could’ve given me more freedom and desire to discover and pursue God’s purposes for my life. In the last four years our language survey team has completed research for eight language groups representing well over 200,000 people who are one step closer to having the Word of God in the language they understand best. I love what God is doing in South Asia through the life-transforming work of Wycliffe. Our goal is to see transformation of individuals, communities, and the nation through a deeper, personal understanding of God’s Word. My goal is to support the work of Bible translation in South Asia, walking in obedience to where God sees fit to use me. Currently I’m working remotely as the personnel administrator—helping take care of our people in Nepal and help new recruits as they prepare to join us. Collecting a word list in a mountain village. The night before we left for the first fieldwork of a large language survey, I asked God for a verse to take with me; something I could meditate on during the long bus rides and long work days in the village. So often I ask for things half-heartedly and then am surprised when he answers so clearly. This was one of those times. He gave me Psalm 138:8: “The Lord will fulfill His purpose for me…” I took it and clung to it. All week. We worked diligently with our language helper and contacts in the area, transcribing and translating a story we would use for intelligibility testing in the furthest areas this language is spoken. But before we could test it elsewhere, we needed to hometown test it to make sure it was a good story with good questions. After five days of work, we had to admit it: our story and questions were not going to work. Our test failed. We had not achieved the primary goal for our trip. We spent our final day in the village collecting a word list and recording more stories, hoping that when we returned in a month we would have a head start on trying the whole process all over again. There were two young men who helped us all that final morning. They were so helpful, sharp, passionate about their language, and excited about the work we were doing to help them begin language development. We were thankful for their help and encouragement that day. The next morning, at 4am, we found ourselves standing on the side of the road, waiting for our bus with our host, the pastor of the village church, and his brother, our language helper. I took the opportunity to ask if Christians in their village experienced any difficulties because of their faith. He answered that yes, there had been some troubles, but not now. When I asked for more details, he told us how last year the church decided not to participate in a village-wide religious festival. This decision caused quite a stir, and some leaders were so angry they threatened to bomb the church. With a smile on his face, the pastor shared how the church had gathered, prayed, and nothing came of the threats. Praise the Lord! Any interesting life-style differences from the United States? Too many to list! I live in the capital city with a few million other people. Transportation is quite different where I live. Sometimes we hike for days (sometimes on leech infested trails! Ack!) to get to our destination. Other times it’s days of bus rides on precarious mountain roads. Or rickshaws. I ride a mountain bike ten minutes to work and find that even a short commute in a major city can be extreme, making me appreciate the shocks and lightness of my bicycle. On my ride, I dodge cows (considered holy in this Hindu country and allowed to roam freely), people, potholes, elephant excrement, and a number of other interesting things. There is a shortage of electricity, but thankfully there is a fairly well-followed schedule for power outages (up to 16 hours/day certain times of year). With the help of a solar panel and a set of batteries I can have light in my apartment. Houses are close together and made of concrete so there’s always something to listen to, whether it’s music from the neighbor behind you, your landlord’s mother yelling at a child, or one of the many vegetable sellers walking down your alley yelling, “Cauliflower! Potatoes! !” No meal is a meal without rice, and a lot of it! In the summer when we need a break and crave air conditioning, or in the winter when we are frozen stiff and need heating, we head to the only Pizza Hut in the country to enjoy their controlled temperatures. For many of s the Christmas story is something we plan to hear and celebrate on a yearly basis, complete with mangers, caroling, gift-wrapping, packed malls, Santa, early mornings with our family, and more. This year for a small group of college students that perspective of Christmas and the Christmas story shifted and for many of us regained its focus. This past week a team of early to mid twenty year olds spent the days after finals flying to a country far from home. El Salvador, located in Central America, has an approximated population of six million people with over thirty-six percent of those serving as abandoned and orphaned children. With dangerous living conditions, Salvadorian children live in broken homes and in complete poverty. This past week a group of students, ready to serve, got the incredible opportunity to partner with a church called Union Church that supports and runs a local San Salvador organization called “La Casa de mi Padre,” a home for restoration and hope for children and their families. La Casa houses kids from broken and unhealthy homes and works to teach them what family truly means, to work through grief and tragedy, to heal torn hearts, to teach them what hope and love truly look like, and to eventually yield a pathway for restoration in their families. Every year La Casa and a local church, Union Church, organize and throw two major Christmas parties, one specifically for children housed at La Casa and their families, and the other for the local community and surrounding homes of the La Casa farm. Over the past couple of days our team has had the opportunity to help pull both of these parties off and offer support for the La Casa and Union Church staff. Among many things, we got to raise support to provide one gift per child at each party, we got to purchase and wrap food baskets to provide meals for families at La Casa and in the local community, and we got the added bonus of getting to run stations, decorate, dance, and most importantly play. It has been pretty amazing to listen and watch as a bunch of college students participate, jump in, process, and love children with open hands and willingly throughout this trip. Over the course of a short five day period Jesus was definitely present and showed himself not only to the families in El Salvador, but to our team as well. One quote that our entire team couldn’t shake was, “Play is a universal language.” For many of us we read that quote and bypass it, but this trip gave that quote a powerful meaning and opened our hearts to things we know the Lord is trying to teach us. Most, if not all, of these kids and families spoke little to no English, and a language barrier was bound to cause a gap between them and us, but play changed that, love changed that, and Jesus changed that. You would be so surprised at how quick these families and kids were to love us, to hug us, to laugh, to smile, and to play with us in the midst of their trails and needs. It began to open our hearts to what pure joy looks like, to the simplicity of life and happiness, and started to close the gap to show us how intertwined Jesus and joy truly are. Over these past couple of days Jesus has done immeasurably more in the hearts of our team through the eyes of children, through the touch of a child’s hand, through the sound of laughter, the streets of poverty, and through the spirit of a kid. Christmas is a time to celebrate the greatest gift God could have ever given us, his one and only son. A son that died on a cross to cover our sins, a miracle that came into the world to offer us hope, and a spirit that cast out all fear and that offers us the peace we need. While sitting in service at Union Church this past Sunday our team got to hear these words, “Jesus didn’t come for one, he came for all.” That idea of Christmas colliding with the joy of children in El Salvador radically changed our perspective. From watching the kids receive their gifts at the Christmas parties, to hearing them say adios on our last night, God truly began to shift our focus to celebrate Christmas in simplicity, in hope, in love, in joy, and in peace. La Casa de mi Padre and Union Church are on a journey for restoration and Jesus is so alive in the country of El Salvador and in the hearts of the people there. Our hope leaving this trip is that God would continue to bless that community and would continue to heal families and hearts there. We hope that the Lord would continue to show himself through a childlike spirit, through the peace he offers us, and through the love he has shown us. This trip showed our team that God truly has no limits and that Jesus and Joy really are a package deal. By chance you are reading this piece because you are thinking about applying to go on a globalX trip. You probably have many questions about the entire process bouncing around in your head. Things like, “Am I even qualified to go? Will I even know what to do? Is it worth my time away from work?” It’s too easy to just say ‘yes’ to questions like that. Instead, I’m going to tell you a little bit about my team and our latest trip to Phnom Penh, Cambodia. Before I begin to rattle through the details of the trip (where we were, who we served, what it was like there) I want you to read this blog entry from one of our first time team members and her experience. This was written a couple days after we returned. It says a lot about the entire experience and what it meant to Jennifer. We can’t go back to normal…but perhaps we can go forward as people changed by the experience we’ve shared. Hello. My name is Jennifer and I’ve just returned with the Phnom Penh team from my first mission trip. When I applied to be a part of this team in November 2012, I was coming off a personal low and I was looking to serve as a way to forget about my own situation. I’d heard Andy preach many times about serving in our local and global community, and I figured it was time to see what it was all about. Many people who serve and volunteer in various capacities will tell you that serving does more for them than they are able to do for others. Oh how true! As I acclimate myself back to Atlanta time, I can’t help but look at the clock and think about what we would be doing at that point n Cambodia time. I’m reminded of being greeted by the smiling faces as we got off the bus each morning, the sweet voices of Srey Lin, Srey Mom, Pony, and Chea as we held hands in a circle and shared our prayers in both English and Khmer, and the laughter of Peanut, Narin, and Samnang as they would run and play. These moments stop me in my unpacking process as I prepare myself to return to my regular routine next week. I had the luck of being roommates with Tiffany on this trip. She and I are both public school teachers (she teaches 5th grade and I teach 8th grade special ed math). She reminded me while in Cambodia that she and I are privileged to get to work with kids every day. How lucky are we?! We get to do what we did in Cambodia, every day back home! So as I prepare to start another school year with Georgia teenagers, I can’t simply go back to my usual teaching routine. The love shared by our kids in Cambodia must be paid forward to my kids here. Perhaps the biggest lesson that the kids in Phnom Penh taught me was to love others the way that they need me to love them. The teens in my classes here may not hold my hand and talk to me as our kids in Cambodia did in new situations. In fact, my kids here will likely act out in times of unfamiliar and uncertain situations. So I may not show my love for my kids here in the same way that I could love our kids in Cambodia, but I can love my kids here in the way that they need me to love them. Maybe we could all do that—love those in our daily lives at home in the way that they need us to love them. Pretty good stuff, huh? Well now that you have read about one person’s experience I’m going to flash back and tell you what this trip is all about. Twice a year three teams travel to Cambodia to continue the service at three orphanages on behalf of globalX. Our specific team was serving the orphanage located in the capital city of Cambodia—Phnom Penh. The church that we partner with in support of these orphanages is New Life Church. New Life Church, lead by Pastor Vek Huong, has grown significantly since the early 1990’s. Part of the church’s mission became these three orphanages. They allow our teams to come in and spend the week with the children that live at the orphanage. We have the opportunity to serve the children and the church by including these kids in activities they normally wouldn’t get to participate in. 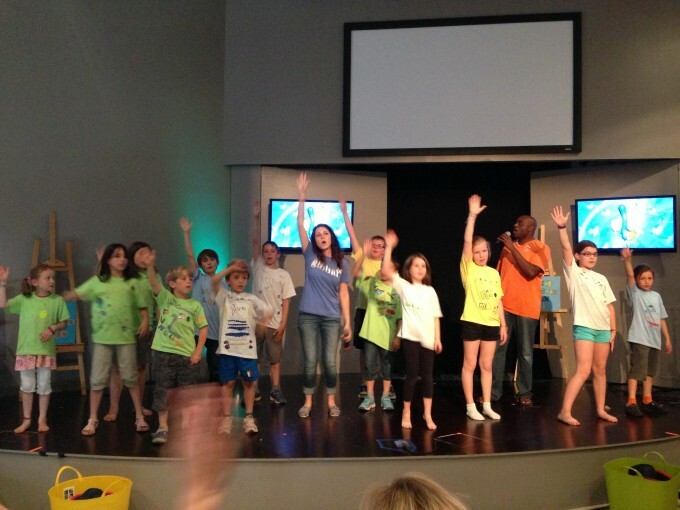 Some would describe it as the ultimate vacation Bible school! As a team, our primary focus was to set up activities that would not only enhance the lives of these orphans but would also allow some much needed fun. Their day to day life is occupied very much with school, chores and studying God’s word. We wanted to come in this year and show them more about what living out God’s word looks like, teaching them to prepare for the future by understanding that one day they will no longer live at the orphanage and take them out on the town for some fun! Our additional focus was partnering with New Life Church and helping them reach out to the community. One way we accomplished this goal was by hosting a ‘Business Man’ luncheon. This entailed New Life Church inviting influential people in the Phnom Penh community to listen to Pastor Vek speak about the church. We also added our very own Andrew Rains who in turn spoke about better business practices as well as God in his own life. We closed out our community outreach efforts near the end of the week including the kids of the orphanage. Dividing up into smaller groups we traveled on foot to the homes of neighbors just outside the orphanage grounds. We handed out rice with a little note that shared John 3:16 in their language and the address of New Life Church. This gave both us and the kids the opportunity to live out the Great Commission. To speak for each individual on the team is difficult. However, when each team member is constantly discussing the future of these children and what each individual can do to provide a better quality of life for them I can’t help but think God moved us all. In the same words that we taught the kids before handing out rice to their neighbors I would say, “No matter how rich, how poor, how big, how small or how different you may think you are, we are called by God to serve.” So find your niche. You’ll be glad you did. What comes to your mind when you think of France? Buttery pastries? Stinky cheeses? Imposing monuments and ornate chateaus? While the country had a rich history with the Church, we rarely associate it with Christianity these days. When I stumbled upon the list of globalX trips last year, I immediately disregarded the France options. What would family and friends think if I said I was “raising support” to go to France? Fortunately, God is persistent and prompted me to apply to be a team member for the trip designated to lead a kids’ camp at one of North Point’s partner churches, Église de la Brie, just southeast of Paris. Over the course of the months leading up to our July 6th departure, our group met many times and shared ideas for activities and planning. Despite all of our efforts, it seemed that we were entering a situation with countless unknowns. Our leader had only been able to correspond with her French counterpart through e-mail leading up to the week of the trip, and since this was the first summer that the church offered the camp, we had no idea how our involvement and plans would integrate with the French team. The French team was incredibly welcoming and gracious. I laughed more in that week than I had cumulatively over the previous six months. The kids could not have been more precious and were a blast to be with. Over the course of the week, we played lots of games, but the biggest hit was Water Olympics! At the conclusion of our week we miraculously (literally!) put on a production for the parents, showing them all their kids had done and learned during the week. God seemed to use our camp to impact the hearts and lives of these French kids in order to spark some curiosity in the adults. Upon returning to the U.S., I couldn’t help but wonder why God would allow things to go so smoothly. Why did our team click so well with the French team? Why did the foreign language barrier not pose problems? Why was the weather absolutely perfect? I have always associated mission trips with significant obstacles, discomfort, and hardship. Maybe it’s that God wants so badly for France, a country that seems to have no need for him, to know him and, maybe he chose to remove those obstacles so that we could do our best to point the children and families to him. Whatever his reason, I feel blessed to have been part of this trip and am excited to see him continue his work in France. I was asked to lead a trip to Southpoint Church in Cape Town, South Africa in May to work with the Children’s staff, their volunteers and to put together a fun event for the children. Southpoint Church is a partner church of North Point Ministries. I already had a professional relationship with the Waumba Land and UpStreet Directors of this church since I work with the Strategic Partner Group, but NOW I also have new friends for life in Africa. SO, I said YES! Immediately. This is not like me. Let me explain. I am spontaneous, but have never been out of the country. Going all the way to South Africa on a VERY long flight was going to stretch me. However, when asked, I felt peaceful about serving the adults and children of South Africa and “YES” flew out of my mouth. The weather in Cape Town was perfect! It was their late fall/early winter season. Cool mornings, perfect afternoons and chilly evenings was the norm. We saw sunshine every day. We were told this was unusual. I like to think it was God shining down on us and blessing us with beautiful weather so we could see His creations (mountains, oceans, penguins, etc.) and have a KidVenture event partially outside! I really want to share with you about the small team that went with me to Cape Town. I started praying about my team. God is so cool. He perfectly orchestrated the BEST group of ladies to be in the trenches with me. Laura Flanagan works in Waumba Land with preschool-aged kids. She is on staff at Gwinnett Church and I have known her for years. She is a get-it-done leader. Her expertise in children’s environments and leading volunteers was so helpful. Laura hit a home run as a worship leader in Waumba. The kids will never forget her. Jana Jackson is my next Waumba Land (preschool) rock star. Jana is truly one of the most creative people I know AND she is amazing with kids. She is a creative “genius” and helped with a JumpStart prop that will help them teach children the gospel presentation for years to come. Denise Garner has been a Waumba Land volunteer at Browns Bridge Church for six years. She has a gift of teaching children and making everyone feel welcome. She also has the gift of keeping me (Tracy) organized! Denise now has many new friends. She truly was the hands and feet of Christ. Meghan Johnson is a Special Needs volunteer at North Point. She has a giant heart for elementary-aged children and was the first to sign up for this trip. Watching Meghan roll up her sleeves and teach children brought tears to my eyes. She taught the leaders how to work with children. Sarah Carroll works in UpStreet at Gwinnett Church. She is an amazing communicator and oozes passion for children. Sarah did the JumpStart presentation for the leaders to train them. I was so proud of her. She is fun, engaging and personable with everyone she met. I (Tracy) have worked in both Waumba Land and UpStreet. I love children of all ages and consider myself blessed to have had these ladies on my team. Our primary goal of this trip was to connect relationally with the children’s staff and volunteers of SouthPoint Church. We wanted to leave them encouraged and equipped to take their children’s environment to the next level. We also wanted to help them with projects like organizing, creating better systems for their load-in/oad-out environment and trainings for their volunteers. The big thing we did while there was KidVenture (a fun event outside of Sunday morning where small group leader’s connect with the kids in their small group). KidVenture was a big hit! The volunteers of Southpoint Church were so excited to help us prepare, set-up and make the event amazing. We had about 60 kids AND their parents show up to play fun games like Dizzy Bat, Bobbing for gum and Tug-of-War. Our goal was to teach the small group leaders how to connect (have a lot of fun) with the kids/parents of their small group beyond Sunday. We witnessed kids jumping on the backs of their teenage leaders (this is a win!) and small group leaders painting their faces and hair the color of their “team” and making memories. I heard a story about a boy who was in the middle of playing a game and heard a worship song that he recognized from UpStreet. He stopped playing the game and shared with his mom what the song was all about. Yes! This is a win too. I learned so much from this trip. Personally, my life has been changed. I love people—all people. I met so many beautiful people that it is hard for me to narrow it down. I truly could write a book. I want to share about my new friend, Ashley. I met her at the Braii (BBQ) on Friday night. I am pretty outgoing. I went up to her and introduced myself and she very shyly said, “Hello.” She didn’t look into my eyes and quickly walked away. Throughout the weekend, my team and I continued to talk to her and encourage her. She truly had a gift and was comfortable with the kids. We praised her for how awesome she was on Saturday with the kids and we all witnessed her opening up to us. Sunday morning, Ashley came to church with six handmade necklaces. She made one for each of us. That would have been enough, BUT Ashley took the time to personalize each necklace. She handed them out and explained to each of us why she made our necklace the color she did. When she handed mine to me, I cried. I will never forget Ashley. Today, I am wearing my necklace and thinking of Ashley and all the new friends just like her that our team impacted. The truth is I came home different. For years, I have supported every person who sent me a support letter. I considered myself a “giver.” Donating to someone’s trip allows him or her to go and make a difference in the lives of girls like Ashley all around the world. Keep giving! However, after leaving the great USA, I am already praying bout my next trip! Giving is so important, but going and doing is now my heart. I have friends on another continent. I had the opportunity to see God’s beautiful creations (mountains, penguins, oceans) AND to see that not all is perfect. People are living in poverty. Digging in trash cans for food is not abnormal in many places of the world. Families living in shacks were all around us. There is still work to do! Like I said earlier… I am praying about where to go next. I know as the days and weeks go by, I will remember another great story. I am also praying that I never forget the amazing people I met in Cape Town, South Africa. It was such a blessing to be a part of a team of nine to serve in East Asia in July! My mom even joined me this year, experiencing her first mission trip and first trip to Asia. Asia is beginning to feel like a home away from home, since it was my third time serving there. The teachers and children are like family. It’s overwhelming to feel the love from our brothers & sisters in Christ from across the globe. For those of you who don’t know much about our trip, we spend ten days serving in an orphanage with children who have special needs. We plan curriculum and get to have fun and love on the kids. Some of the highlights include sharing daily devotions with the teachers and growing deeper in our relationship with God. This trip naturally caught my attention, since I am an Asian American working as a pediatric physical therapist in Atlanta. However, from our diverse team, I’ve discovered that the trip is so much more than utilizing my skills. Although teachers and therapists are fitting for this trip, other team members, with various backgrounds, have been a huge blessing to the children and staff. My husband, who is an engineer, has a great enthusiasm with the kids. In fact, one of the girls remembered him from last year and bolted through the door to embrace him. Experiencing deeper relationships with the teachers was one of the highlights of this trip for me. I worked closely alongside one of the trained physical therapists and I felt honored that he wanted to take my lead and learn from me. God has prepped me for each trip I have been on. Last year many of the children were going through a specific, and intensive, physical therapy after surgery. Fortunately, I had just researched that particular type of surgery about a week before the trip! This year, I had just been trained on how to create customized splints and casts a few months prior to the trip. When I arrived, one of the kids needed splints for both his arms and legs! I love how God is so purposeful! I hope that, through my story, you now have greater awareness of globalX’s East Asia trip. As you can imagine, it’s challenging to summarize such an impactful trip in a few words. Whether or not you choose to travel to Asia, please keep this trip in your prayers. We are grateful that God has already blessed this organization with some amazing leaders, teachers, translators, children, and teams. This organization continues to have a special place in my heart. I hope that I can go back each year if it’s in God’s plan. “A piece of the puzzle” – That’s a great way to describe my team. It also happens to be one of my big takeaways from another AMAZING experience in Ngaamba, Kenya. This was my third trip to Ngaamba, and it was another success! My team really worked hard and supported one another. They opened their hearts to the community and jumped right in to help in any way possible. It was fun for me to meet new people and catch up with past friends. I love seeing how much some of the Kenyan young adults are growing. Johannes and Ben, our program and community leaders in Ngaamba, seemed unsure and a little hesitant when I first met them on previous trips. Now…they are taking charge and stepping up with assertive confidence. So fun to watch the change! I also witnessed other significant changes, which brings me back to the concept of a piece of the puzzle. Over and over again we heard phrases such as, “This is because of 410 Bridge,” and, “410 Bridge made this possible.” The 410 Bridge is the organization that partners with North Point Ministries for trips to Kenya, Uganda, and Haiti. They have been working with the community for a little over five years now. During that time, Ngaamba has seen amazing growth and development. One story that sticks out in my mind is the secondary school where we worked. 410 Bridge built their first school five years ago. It was a small building to accommodate a small amount of students. The Kenyan government heard about the development and ended up building three additional buildings and an administration building. Once the government got involved, faculty and staff were assigned to the school. As a result, students in Ngaamba now have more opportunities for secondary school. FANTASTIC! All of this came from one small building built by an organization that cares. And, The 410 Bridge couldn’t do it without teams like mine. And my team couldn’t do it without individuals willing to put themselves out there. People who are willing to go and those people willing to stay and support us through prayer and giving financially. So there you have it! A small piece of the puzzle leading to major changes and making a powerful impact. It can be easy to get caught up in the details of one small trip and wonder, “Am I making a difference? Does a week really influence change?” But when you step back and look at the big picture and hear community members express deep, heartfelt gratitude for the compassion of an organization you support – you not only see the impact, but you feel it deep inside. It’s a good reminder that God uses seemingly insignificant people and events in our lives to affect change in a powerful way.